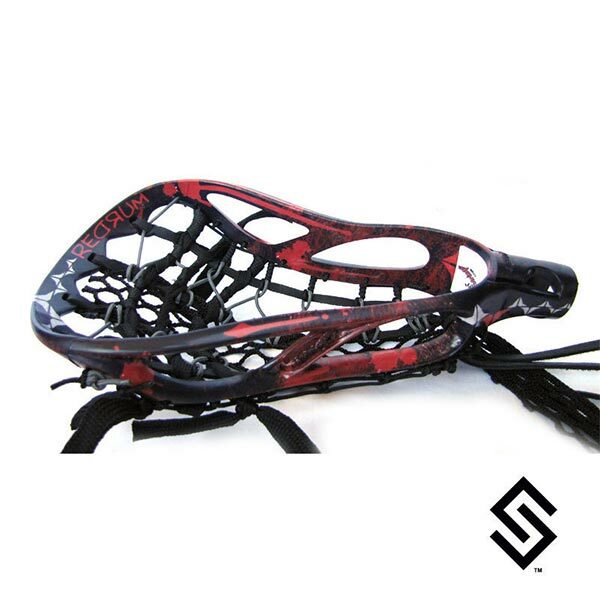 StylinStrings Redrum Lacrosse Dyejob is an artistic representation of a viscous crime scene on your lacrosse head. The STX Proton+ displayed is an example of a murdered out dyed head. This theme is traditionally red and black but you can choose any color to go with black. Your dyejob will not have the Mikey Powell logo on it. The one displayed was a full custom quoted order to match a Brine Shaft.